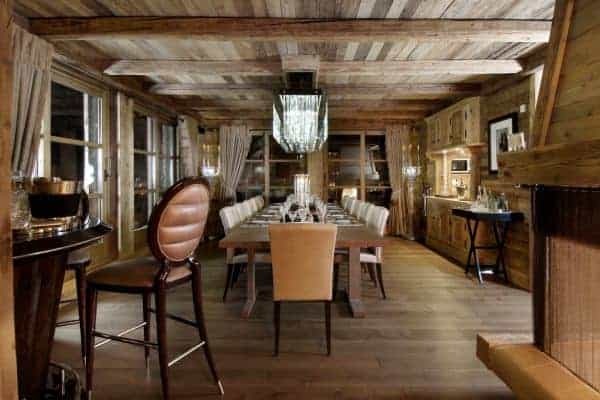 A few steps away from the heart of Courchevel 1850, we consider this chalet as one of Courchevel’s nicest properties available for rental. 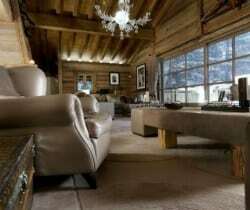 Nothing has been spared in the search for elegance and refinement. 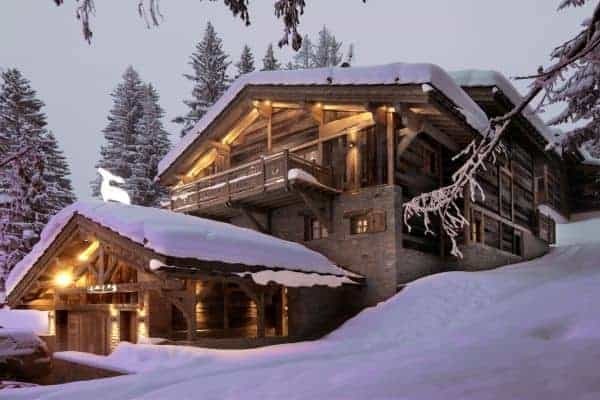 It epitomizes the contemporary style chalets that have been coming to the rental market in the past years: a perfect blend of traditional style and modern comfort. 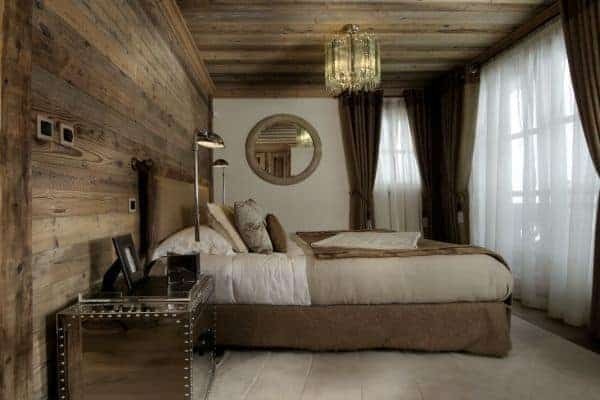 The decorator has savvily mixed the Savoyarde building structure (stone, wooden beams and panelling) with touches of contemporary design and furnishings to create a peaceful and relaxing atmosphere. 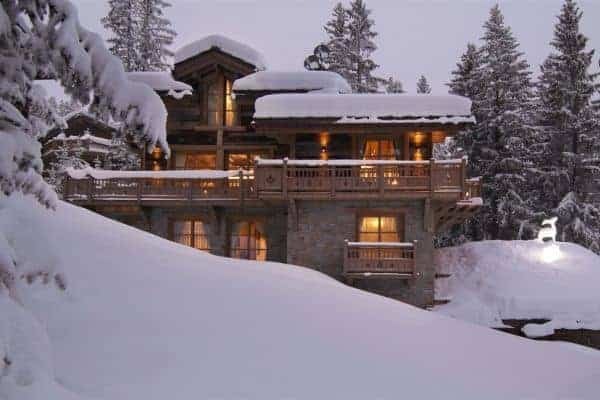 Ideally located approximately 200 m away from the resort centre, it offers spectacular views over the Bellecôte glacier and Dent du Villard. 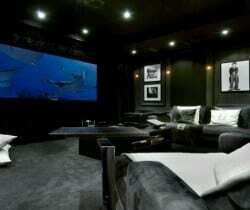 With a total surface of 550 sq. 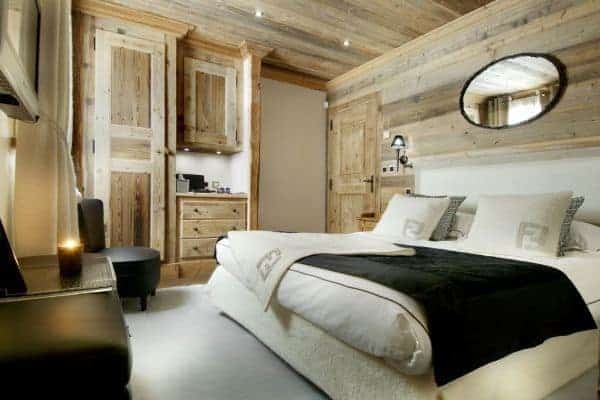 m, the lodge has 6 en suite bedrooms including a master one with a Jacuzzi and specific area dedicated to children, each of them in a traditional style with great attention to details. 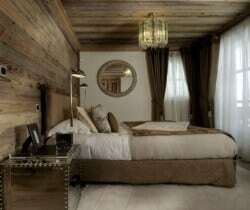 Each bedroom is equipped with a Bose Hi-Fi system, flat screen TVs and DVD players. 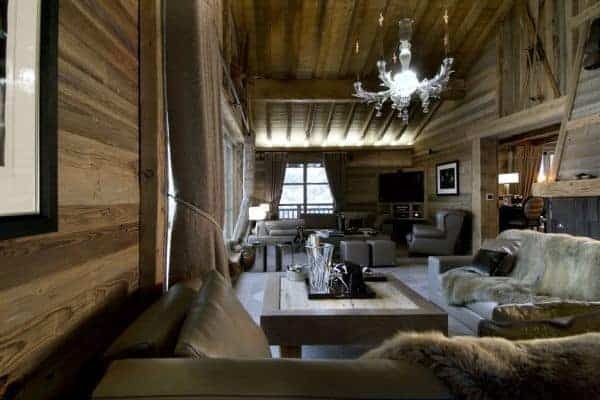 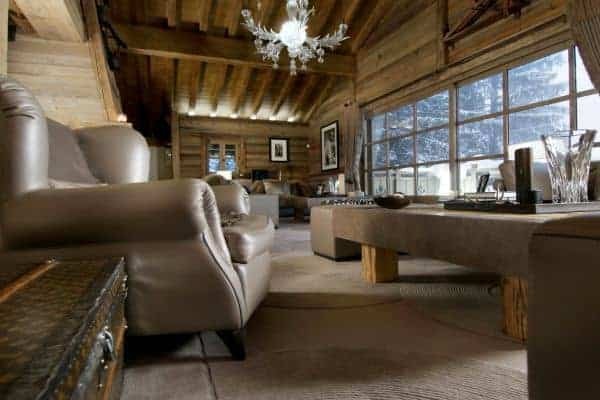 Although the day living areas are very airy, entertainment is a priority in the chalet’s furnishing, as evidenced by the impressive home cinema, the large selection of DVDs are available in the library, the iPod docking stations and the Wii that will surely delight everyone in the family. 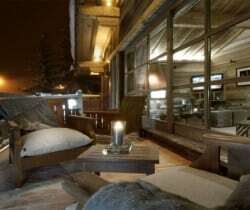 The epicurean experience is ensured by the chef’s international menus, ranging from Savoyarde cuisine to Thai. 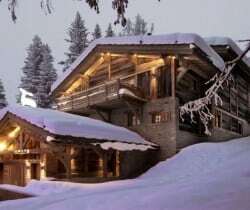 Your well-being will not be left unattended: this luxury chalet also features a stunning swimming pool, a steam bath and a fitness room. 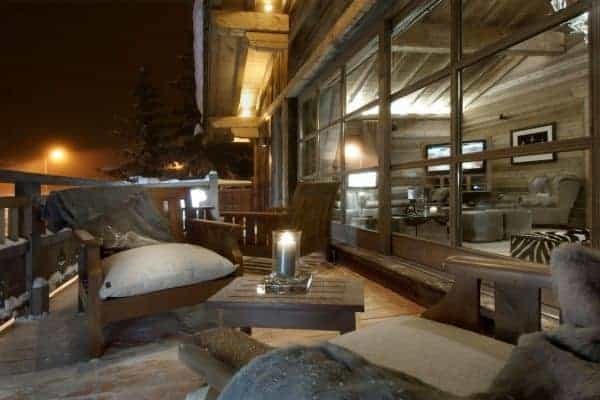 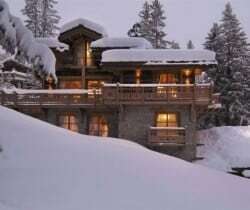 You will be charmed be its modern design and by its exceptional situation where pure local tradition meets state of the art features in one of the most beautiful areas of Courchevel 1850. 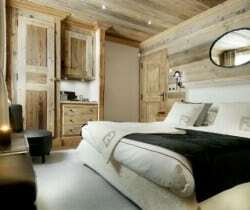 With all its spacious bedrooms en suite bathroom, the chalet is ideal both for families and groups of friends.